A very very very very big THANK YOU to Vincent and his partner for an excellent job in capturing the special moments on our actual day!! We are glad to have you as our AD photographer. You are truly professional, patient, sincere, friendly and accommodating. Despite the minimum time you had for editing the PV Montage, the results was fantastic and so much better than what we expect. We love it too much. 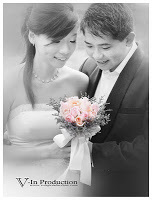 You will definitely be top on our recommendation list for wedding photography services!!! thank you so much for you and your partner's hard work yesterday! Will definitely recomend your good service. THUMBS UP!!! L-O-V-E the video!!!!! Thanks for all the wonderful pics! Thanks for making us feel at ease with your friendly attitude! thank you for the wonderful and lovely photos you have captured on our ROM! The details and candid shots of our guests were captured beautifully. and hardwork you guys put in on our actual wedding day. Both of us love the PV montage a lot. expected. Thinking back, it all seems so worthwhile. Dear Vincent Yee & Partner!! thank you for capturing beautiful memories at our wedding. We love ur work! Especially the way u design our photos n even give such a lovely album. we had many good feedbacks from our guests! kept every guest beaming with smiles, very lovely personal touch! 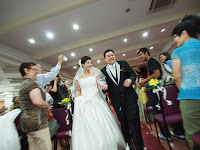 A BIG THANK YOU for the wonderful shots you have captured on our wedding day. 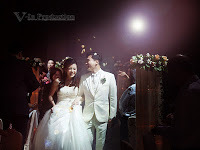 Your hard work and professionalism have definitely made our wedding a wonderful and memorable one. 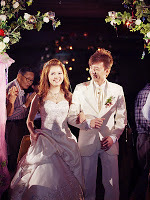 Many thank to Vincent & Mr Yeo for all the hardwork on 1st Oct 2011! The morning highlight was well taken with complients from many friends, colleagues and relatives!! N many ppl requesting a copy of our morning highlight!! Will recommend V-In production to anyone i know planning to get married!! A big thank you to you for capturing all of our unique and beautiful moments during our ROM! Thanks Vincent, for the beautiful photos. It really turns out better than what we've expected. *thumbs up*! All the photos turned out to be wonderful especially those with special design and effects. 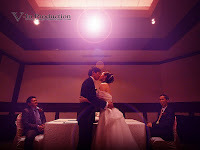 A professional and creative photographer, and one who doesn't compromise speed with quality. We are able to receive the end products within 2 wks from our wedding. Great!! With him as your photograher, you can rest your mind and just enjoy your Big day. Jia You & Keep Up the Good Work ! Ivan & I want to say a big thank you to you for being such a pleasant & obliging photog on our AD. Thanks so much for your professional skills. We enjoy the pre wedding shoot with you as you talk to us. It's a fun and memorable experience. Highly recommending to friends. (:Keep up the good work!Take care. (:Continue to take more nice photos and upload more. Thanks for doing a marvelous job in capturing the most important event in our life. You have been most professional, creative, sincere and accommodating. 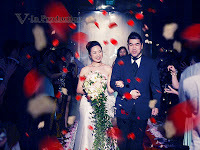 Your work well exceeded our expectation and we'll definitely recommend you to any of our friends for their big day too. A big thank you for the excellent job in capturing the wonderful moments and narrated it in the most creative and artistic way. You are patient, creative, friendly, sincere, interesting, accommodating and professional. We are impressed with your photography style, your special touch up effects and the layout of the photos that makes the photos seem so lively. Your friendly and easy going personality makes us feel at ease and comfortable during our actual day.We are pleased with your dedication to your work and the efforts you put into ensuring all the photos are uniquely presented into beautiful moments for us.